Syllabus of the Online Course (Subject) - Abdulsamad Rabiu (Nigerian Businessman and Philanthropist). 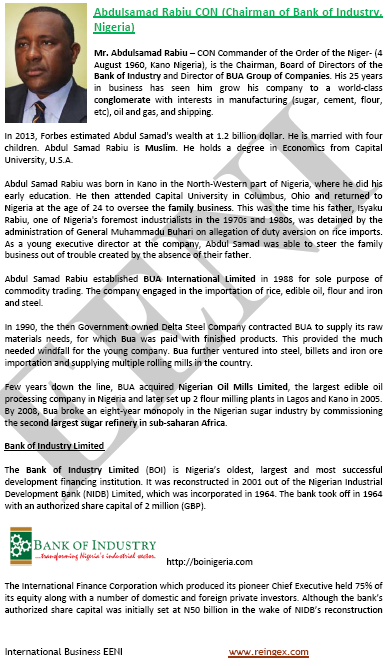 The Nigerian Banker and Businessman, Abdulsamad Rabiu was born in Kano State (North of Nigeria) in 1960. Abdulsamad Rabiu is one of the richest business people in Nigeria, with an estimated net worth of 1.2 billion dollars (Forbes).